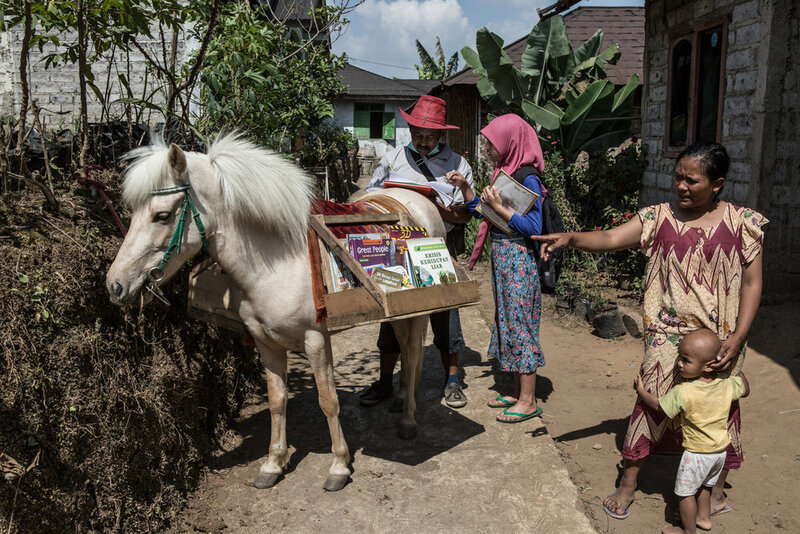 Ridwan Sururi (42 years old) a horse caretaker living in Serang Village in Purbalingga, Central Java, Indonesia started the mobile library called Kudapustaka -meaning “horse library” in Indonesia with the donated books from his fellow horse enthusiast Nirwan Arsuka and other donors in January 2015. 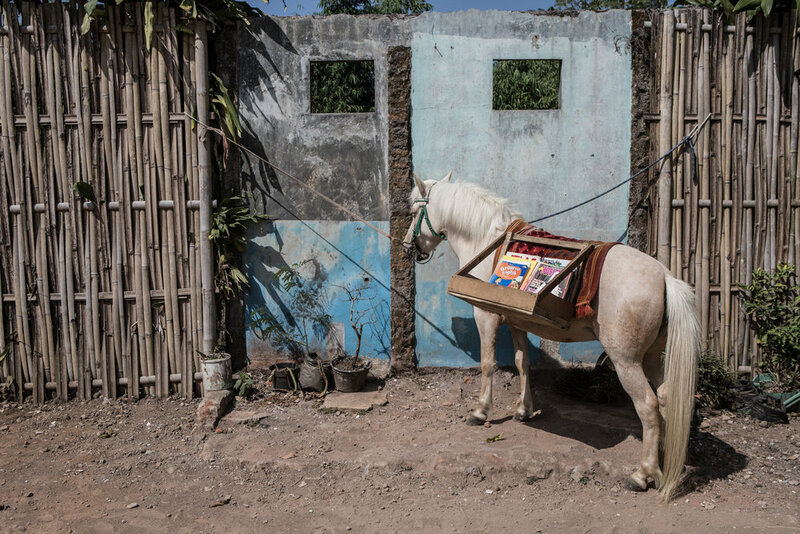 Every week on Tuesday, Wednesday and Thursday he visits nearby schools and village to offer book for the children and the villagers. 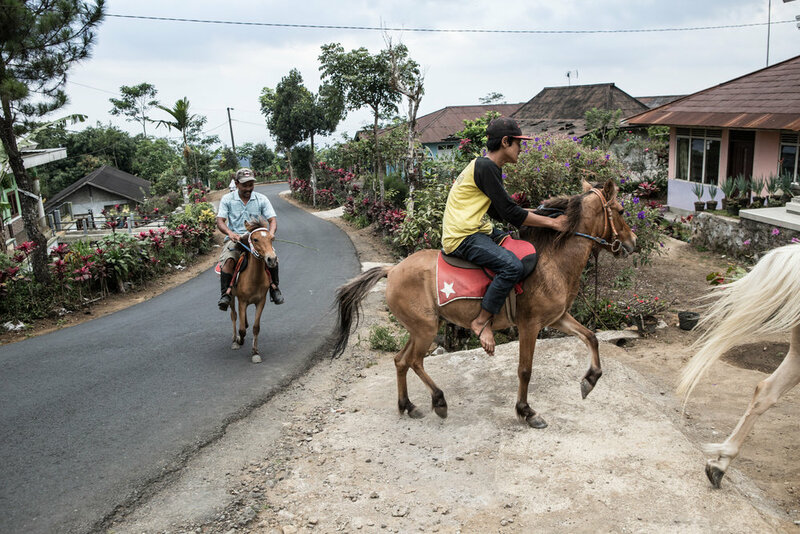 According to Unesco, Indonesia has made great strides in reducing adult illiteracy in recent years, bringing the number of illiterate adult down from 15.4m in 2004 to 6.7m in 2011. 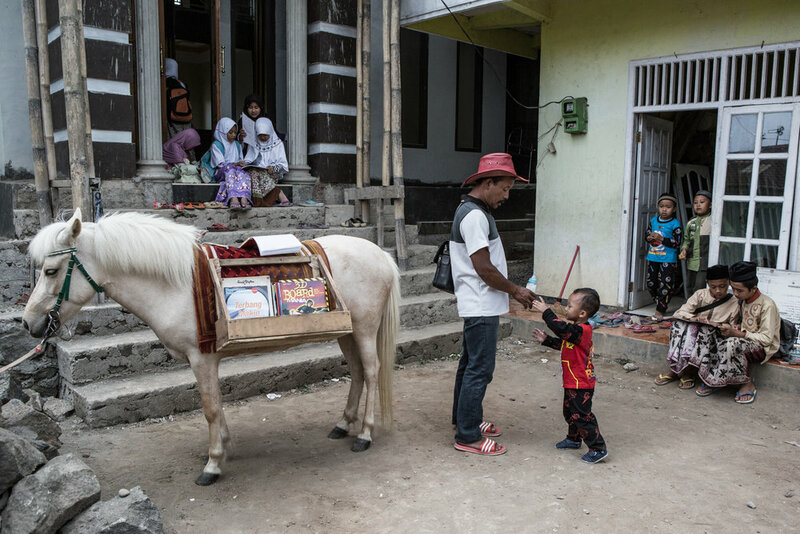 However, Unesco says there are more than 977,000 illiterate adults in central Java, Ridwan’s region.